Petey Pyramid performs at the April edition of the KC Industry Listening Session at FSP Studios. Kansas City rapper Brandoshis performs at the April edition of the Kansas City Industry Listening Session at FSP Studios. Kansas City hip hop artist Tiggz Wang performs at the KC Industry Listening Session in Kansas City. 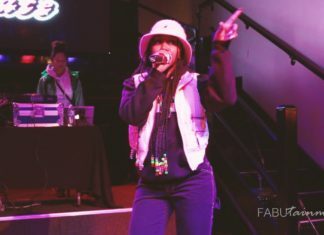 Kansas City hip hop artist Amira Wang performs her song "Use Ya Back" at the KC Industry Listening Session in Kansas City.